The paranormal has exploded into our culture bringing with it a large interest channeling spirits, astral projection, automatic handwriting and more. Turn on any movie or trending show, and guarantee you will see themes of the occult or new age type of thinking. The smallest occult influence in a Christians life is more dangerous to our spiritual walk than we even know. A door that remains open, no matter how small the gap can be disastrous in a believers life. Take the recent Pokemon game…. It has become so popular with the younger crowds, yet very few voices out there are teaching about the dangers behind it. A lack of voice in the body of Christ gives the perception that the church doesn’t know what is going on and is old fashioned and out of date. The youth of the church are disappearing as these occult avenues are bringing to them the spiritual side of things that they are craving to know about. In a culture that is massively shifting, believers are totally blinded to the sheer power within our reach to dismantle the enemy’s plans. We focus too much on the darkness, but what we really need to realize is the tremendous power we have at our disposal that God has given us..
As believers we need to be diving deep into the radical, awesome things that God has given us. In Matthew 24:24 Jesus warned us of counterfeit “great signs and wonders” that would occur in the last days. We are seeing that with the emergence of the New Age thinking right inside many churches. What many think is the power of God, is a counterfeit spirit. These things should be taught so we can have eyes to see and ears to hear and be able to discern what is from God, and what is not according to His Word. Have you ever heard of someone who once knew Christ, and over time because they dabbled with “teachings” that they decided to openly deny Jesus and embrace an entirely different mindset? We are seeing this in a few charismatic circles where you have people listening to teachings, and engaged in practices but have not not tested the spirits, or the information that is being taught, and in turn they have doorways open to the occult in their lives. There ARE the authentic things of God, and the false things NOT of God going on in churches around the world. Today’s Christian NEEDS to be discerning. How can you tell what is what? One way you can tell right from wrong is knowing the word of God well. If you know the word, then you should be able to test what is being presented. Having close Christians around that you trust is another way to bounce ideas off, and measure things as you go along. Paul warned us in 2 Corinthians 11:1-4 about deception: Another Jesus is presented, another spirit is poured out and another gospel which reads different. • “Another Jesus” – A “Jesus” who does not ask followers to take up their cross, die to their sins daily and follow the commandments. You should know Anton LaVey from the Church of Satan’s motto, ‘Do what thou wilt shall be the whole of the Law.‘ In other words, what they hold up high is – do what feels best to you. Isn’t that what most churches embrace? Jesus died for your sins, so you don’t have to follow the instruction guide is what they say. Sin is always covered they say… or don’t bother reading the rule guide anymore,…it no longer applies. See how most believers have adopted a Satanic belief? That is a Satanic motto…but it also has become the churches as well. • “Another spirit” – A “Spirit” which gives people exciting feelings but does not give them power to be holy. • “Another gospel” – A “Gospel” that requires no repentance, does not deliver them from sin, and doesn’t teach to obey the commandments. Cutting and pasting is the motto today. Laying on hands is a very biblical practice, but you also need to be very careful WHO lays hands on you, and what they are imparting unto you. The laying on of hands signifies the imparting of spiritual blessings, authority, and/or power. In the Old Testament, a blessing was often transferred this way. Jacob passed on blessings from God by laying his hands on Ephraim and Manasseh (Genesis 48:13-20). In Acts, a newly baptized person had hands laid on him for the receiving of the Holy Spirit. Acts 8:17-18 “they laid hands on them, and they received the Holy Spirit…” Also see Acts 19:5-6 and II Timothy 1:6. The other purpose for the laying on of hands is that of ordaining someone. In Acts 6, we see seven men who became deacons when the apostles prayed and “laid hands on them“. When you see BELOW how the demonic realm are using this transference…. realize that the other side is just as powerful. It would be amazing to have someone who can operate in the power of God, lay their hands on you for those same gifts. Yet, most of the church doesn’t realize the power of the gifts of the spirit. 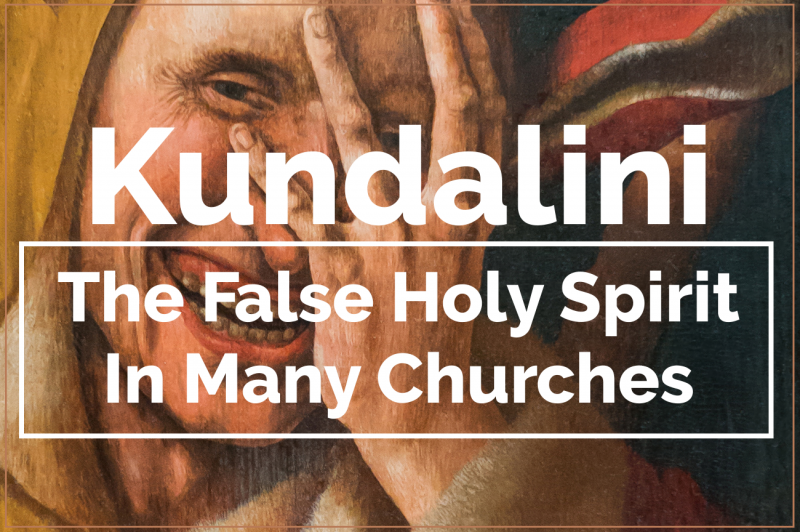 If you search for “Kundalini, Shakti, church” on youtube, you will find a variety of videos showing these manifestations of the kundalini spirit in churches. You will see crowds of people who seem to be acting drunk in the church. It happens when these spirits are imparted by the laying on of hands. Just like this spiritual gift can be good, and OF God, the devil has also taken advantage of this for himself. In Eastern religions, when a Guru touches people on the forehead, people experience a “Kundalini Awakening”. Christina and Stanislov Grof, (New Age authors of the book) “The Stormy Search for the Self,” describe that individuals involved in Kundalini energy might find it difficult to control their behavior; they find themselves making involuntary sounds, and their bodies move in strange and unexpected patterns. You would expect to see unnatural laughter, crying, and imitating a variety of animal sounds and movements. “A Fire Tunnel” is where leaders and prayer teams form two lines facing each other ready to pray for, lay hands on for impartation. 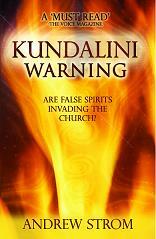 In some of these churches which many suspect are dabbling with this false spirit, you will see the tell tale signs. Persons deliberately placing their hand on other persons forehead until “something” a manifestation occurs. Shouting, wailing, shaking, falling flat out on the ground. People in the congregation laughing uncontrollably. Drunkenness to the point where they cannot even control themselves. They look as though they are at a bar drinking. If this was from God, we would then be seeing more of the authentic traits of the Holy Spirit which would draw people to HIS word. We would see PRAISE and WORSHIP with a level of intensity. We would see people draw closer to HIM, and pray out the things found in the word. Praying out scriptures and promises of God. They would lift the Word of God up on high. If these spiritual experiences were from God, – you would see the display of the fruit of the spirit in increasing measure, (love, joy, peace, forbearance, kindness, goodness, faithfulness, gentleness and self-control). Notice SELF CONTROL is one of those traits. In one video where this Kundalini spirit is present, a lady falls to the ground and while she lays on the ground she exposes herself. Would this really be from God? When you cannot stop yourself from doing something, – such as the laughing seen in many of these videos, that is certainly not from God. Self Control is a trait that is from God. The devil on the other hand often overtakes the person where they cannot control what they are doing. You see this in the demonic circles. In one man’s testimony where he played with the ouiji board so much that over time the spirits he was contacting eventually took over his voice. He would be in public places shouting out profanities. He was so embarrassed. He couldn’t help himself. What he did was open the door to these demonic spirits, and over time, they overtook him. He couldn’t control it. We see this same spirit in some of these churches. I attended a stampede once where there was a show I shouldn’t have watched. It was a show where the man would ask volunteers from the audience to come up on the stage. He would place HIS HANDS ON THEM, and with a key word spoken over them he could get them to act like animals. What he was doing is placing demonic spirits on them. They would go back into the audience, and when he spoke the keyword from the platform these people in the audience would act like chickens and all sorts of animals. It sounded very authentic, and so realistic that the crowd was in awe! What they were witnessing was the spirits overtake them. The people gave their permission before hands were placed on them. What many didn’t realize is that he was using demonic spirits to entertain people. Then, these people would leave WITH THESE spirits. I saw people who were up on the stage start to leave and be several yards from the stage, leaving the arena, and this man would say the key word into the microphone, and as the people were leaving, they still started acting like animals. They left with those fowl spirits. I doubt they ever had them cast out of them, and lived with problems afterwards. I wish I was a stronger Christian to say something. You see the exact same thing in these churches. When you compare the two, they are identical experiences. They have no control over their bodies. That trait in itself is from the devil. In his book, “Searching Issues” Nicky Gumbel quotes a survey that estimates that 25% of Americans are involved in some form of New Age practice. Many of those taking an interest in New Age are seeking deep, spiritual experiences and meaning in their lives. Where does the rubber meet the road on this topic? When you engage in these activities knowingly or unknowingly, these demonic spirits are given access into your life…and you begin to show the fruits of darkness. You may experience yourself dealing with fits of rage, a lack of love, anger, resentment, feelings of unforgiveness. Everything unholy that you can think of you are then going to battle against. When you invite something like this into your house and life, you then start NON STOP battling against the powers of darkness over your life. WORSE off you cannot get into the word. There is a fight to read your bible. Eventually, many of these people fall away from entanglements of sin being introduced or lured into their life from these spirits. “ MissMaverick | July 21, 2016 “ Hey guys, I really need help. I have been dealing with K symptoms for over 2 months now and I can’t bear it anymore. It’s affecting my eyesight, I see things when my eyes are closed, my state of consciousness is all over the place, I feel like Im going to float off into space, its making me constantly dizzy, making me have thoughts like I have “discovered” some sort of truth, but I know its wrong, terrifying thoughts. How do I get rid of this? The more I read the Bible, the more symptoms I get. What do I do? How did you get yourselves out of this mess? I don’t want to hear just prey to Jesus, Im doing that. A lot. What else can I do? Please help! ANSWER: You need these things CAST out of your life. Deliverance is not complicated. First, you need to get rid of any material in your house that is occult related. See this post and this post for more detail on this subject. You can also simply DEMAND For these things to leave you in Yeshua Jesus’s name. Take authority over it, and command it to leave. If you feel it coming back into your life after you have cast it out, continue to cast it out until you don’t sense it trying to come back. Our authority in Christ can command these things to go. As you can see above, the person still has the spirit, and has not asked it to leave. Everyone needs a clean spiritual body. I would encourage you to do this often. My final question is – How are we presenting authentic Christianity to those earnestly seeking spiritual fulfillment? Are we preaching with boldness the themes of sound doctrine of the faith to those who are seeking?,… or are we presenting a worldly gospel with doctrine not found in the scriptures? 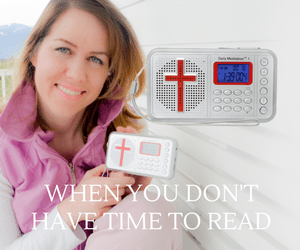 Are we presenting the power of God to those who really want to hear about it? Are we highlighting genuine miracles around the world? Are we touching on those miracles that have happened to believers around the world for edification? As a body we actually HAVE these amazing miracles… which Hollywood has to make up with cameras. Are we reporting on these miracles? An informed church is a church that will stay plugged in. More than ever, the people in the world have a vast amount of choices today. We need to be believers representing the gospel well, and able to provide answers that are well thought out and researched to those who have questions. If we are not teaching on the dangers of these books, dvds, games that are ever on the market and in the stores, chances are we are not going to reach the vast majority of people out there that view “church ” as old fashioned. Below are some great links to articles I feel also inform about the New Age and what you can do to stay informed. Many have realized that science does not hold all of the answers to life, the universe, and everything, and so some are turning to the spiritual for more meaningful answers. Sadly though, many are looking in the wrong places and stumbling blindly into New Age philosophies. Christians, therefore, have both a responsibility and an opportunity to share their faith with those who are actually searching for spiritual wisdom and point them to Jesus Christ. Below are some brief tips and suggestions to help Christians share Christ with their New Age friends. Because of the great diversity of beliefs in the New Age, don’t automatically assume that you know what the person believes. The best thing to do is simply ask them what they believe about a given subject. What may be true to one New Ager, may not be true for another! Earn the right to be heard. Sadly, there are many Christians who are simply ill equipped to dialogue with New Ager’s. If a Christian says something which is not true of the New Age movement, the New Ager will tend to reject much of what is then said to them because they will have lost some respect for that Christian. If you are going to talk to those in the New Age movement – do your homework! Research what they believe. If you say something that they feel you have misunderstood them on, but it is actually accurate, be prepared to back it up with quotes from New Age leaders and authorities. Stress the uniqueness of Christ. Most New Ager’s will admit to Christ being an ‘enlightened one’ of some description, but will deny His unique status as the only begotten Son of God and the only way of salvation. Stress that humanity has a sin nature (Rom. 3:23). Most New Ager’s don’t think about the issue of sin at all because they feel that all they need to overcome problems is deeper meditation and to eventually realize one’s own divinity. Show them they are sinners in need of a Savior coming from the ‘outside’, not man having the potential to save himself by releasing something hidden within himself. Jesus Himself asked many questions to force people to think. Follow the example of Paul when he went preached at Athens in Acts Ch. 17. Even though he was “provoked within him as he was beholding the city full of idols” (v. 16), he did not go storming in and calling them a bunch of idol worshipers, or of the Devil etc., rather, he said: “Men of Athens, I observe that you are very religious in all respects” He goes on to say that among their items of worship he saw a statue which said “TO AN UNKNOWN GOD” and used this as an opportunity to tell them about the God they can know. Modern New Ager’s are just like these ancient men of Athens. Verse 21 says: “Now all the Athenians and the strangers visiting there used to spend their time in nothing other than telling or hearing something new).” Indeed, those who frequent modern New Age fairs are exactly like the people of Athens in the first century. Like the apostle Paul, Christians can also take advantage of the spiritual hunger in the hearts of people, commend them for seeking spiritual things, but then point them to Jesus. Find Common Ground “If there is one thing that unites New Agers and Christians, it is a recognition of the need for more spirituality and less materialism in today’s world. Highlight areas of agreement before exploring differences”. Though in the late 1990’s the Emergent Church Movement may have started out with good intentions, it has come to symbolize a blatant apostate religion that has usurped and is now replacing authentic Christianity in theological institutions, denominations, and local churches worldwide. To the Postmodern-Emergent follower truth is relative, secondary, unattainable, and those who hold to absolutes are viewed as arrogant. Though this may remind some of a definition for liberalism, make no mistake – the Emergent Church is far more than that and is much more closely aligned to pagan, New Age spirituality than to biblical Christianity. There is no soft or diplomatic way to portray it other than to say that Emergent Christianity really isn’t Christianity AT ALL. There are a number of helpful books available which set forth a Christian response to the New Age Movement. I will recommend a few resources you might want to consider, but the bibliographies in most of these will direct you to many further resources as well. 1. Embraced by the Darkness: Exposing New Age Theology from the Inside Out by Brad Scott (Wheaton, IL: Crossway, 1996). Brad spent ten years involved in the New Age religion until converting to Christianity. He teaches at Golden Gate University. 2. Confronting the New Age and Unmasking the New Age by Douglas Groothuis (InterVarsity Press). Doug teaches at Denver Seminary. 3. The New Age Movement and the Biblical Worldview by John Newport (Grand Rapids, MI: Eerdmans, 1998). This looks like a comprehensive resource by a distinguished professor of Philosophy of Religion at Southwestern Baptist Theological Seminary. 4. Apologetics in the New Age: A Christian Critique of Pantheism by David Clark and Norman Geisler (Grand Rapids, MI: Baker Books, 1990). 5. Encyclopedia of New Age Beliefs by John Ankerberg and John Weldon (Oregon: Harvest House, 1996). 6. I would also recommend checking out Marcia Montenegro’s website at www.christiananswersforthenewage.org . Marcia was a former astrologer who was deeply involved in the New Age Movement prior to her conversion to Christianity. She has many helpful articles on her site. CANA stands for Christian Answers for the New Age. Please be sure to check out her site. Finally, there is a brief article on the New Age Movement by Kerby Anderson on the Probe website. In addition, there are many other related articles in our “Cults and World Religions” section on our Web site at www.probe.org. A careful study of some of these resources, combined with prayer and compassion for those you seek to reach, will be of great benefit to you as you seek to share Christ with those you love. As a former ‘new ager’ I can attest I would not listen/engage with Christians, Jesus was foreign and someone speaking about him was like a reading a story in German to someone who only speaks Japanese. As an outsider I looked at religion & the Bible with skepticism/cynicism… I only saw it’s outcome as creating controversy, conflicts, wars and blood shed. So I chalked it off as having any potential for truth and found myself off on a spiritual journey for truth which led into new age and over a decade in the quest for enlightenment. Long story short, towards the pinnacle of my becoming a new age teacher guru- certain experiences/observances led me to become suspicious ,question things and simultaneously my personal life (marriage and health) falling apart and thank God it was in my disillusionment that I started to separate myself from the new age community. New Age is like an octopus, you don’t get free in one shot, it’s a painstaking process of loosening the one sucker from the tip down to the base till you’ve untangled and released all eight of its arms. Since I very much believed in God, I decided to pray that if this Jesus figure was the real deal for God to reveal it to me… that’s when all kinds of amazing miracles took place that eventually led to my salvation and revealed new age for the counterfeit lie that it is. “Even though I was deep into the New Age, I had this indescribable desire to read the Bible. I wanted to find God, but I didn’t trust Christians enough to talk to any of them. “New Agers know bits and pieces of Scripture. I would hear the promises of Matthew 6 about God clothing the lilies of the fields and feeding the birds, but nothing about ‘seek first His kingdom.’ I’ve seen posters with Isaiah’s promise of running and not being weary, but not a word about God judging false prophets. Quoting scriptures to New Agers is like ‘yah, yah, I’ve heard that’.” The secret to reaching them is to encourage them to study the Bible in complete context. Studying God’s Word also was the turning point for Sylvia. “I think in the back of my mind, I still had my Christian roots. God says His Word doesn’t come back void. Some people believe that the fall of Paul Cain into serious sin is some kind of aberration – just one individual’s problem. But I am convinced that the fall of Paul Cain (-who was recognized worldwide as the ‘father’ of this movement) is a symptom of a much wider disease. The whole movement is sick. As I have stated in previous articles, the ‘Prophetic’ as we know it is really a “fallen” movement – since the early 1990’s. But I always held out hope that it would somehow turn around and get back on track again. In fact, I believed that this conference was a heaven-sent opportunity for that to happen. 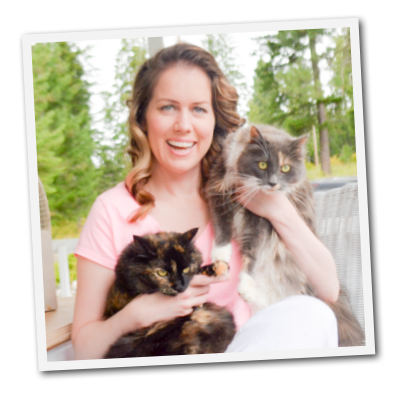 Previous articleJoanie Stahl Reveals Her Powerful Keys To Spiritual Warfare, Prayer, & Miracles- You Don’t Want To Miss This!